It's about that time of year again when magazines begin publishing their "Best of..." issues. 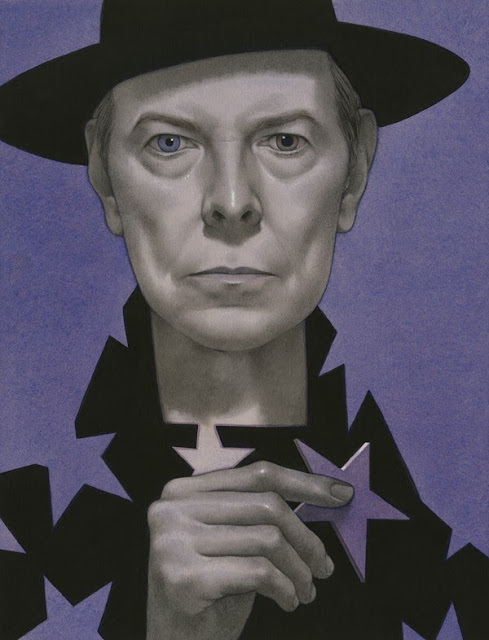 Edward Kinsella illustrated David Bowie for Entertainment Weekly's article about the top 10 singles of 2013. Ah, a portrait just as poetic as the man himself.